This lovely hand-woven Harris Tweed is ideal for making any of our smaller or medium sized bags and is ideal paired with a plain tweed for some of the messenger bags. This pack contains a yard (92cm) of genuine hand-woven Harris Tweed approx. 28” (72cm) wide in a smart camel and beige houndstooth check. 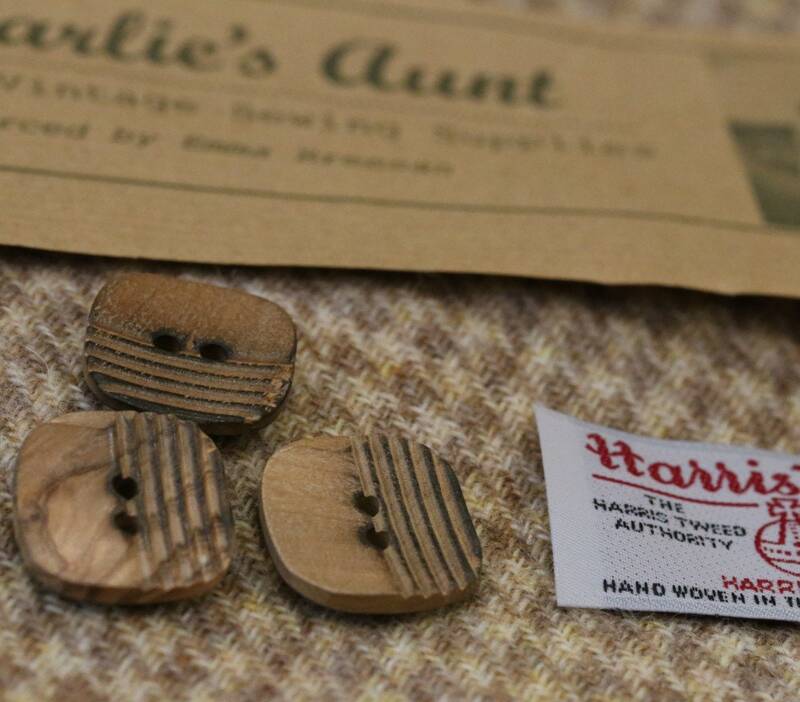 Included are three vintage wooden buttons just under 1" (25mm) square from the Charlie's Aunt stash and a Harris Tweed label to stitch into your creation. To meet the legal definition of Harris Tweed, it has to have been hand-woven by islanders at their homes in the Outer Hebrides (off the west coast of Scotland) and made from pure virgin wool dyed and spun there. 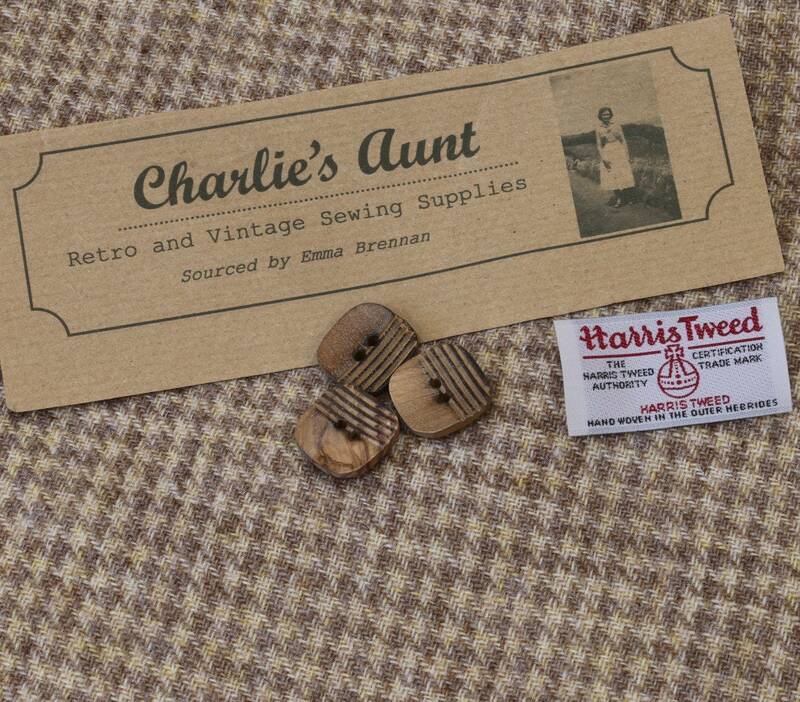 This tweed and buttons offer a great opportunity to fashion your bag or purse in Charlie’s Aunt “signature” style. 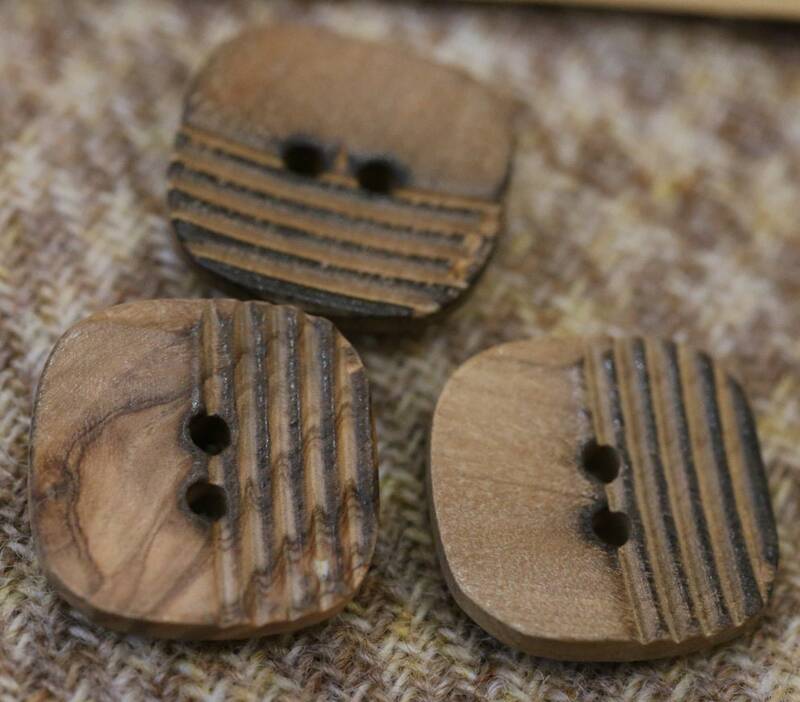 This listing is for a piece of fabric and buttons as detailed above that will be posted to you at the address provided by Etsy unless otherwise stated. After we receive payment, your purchase will be shipped within 48hrs. All items are shipped via first-class mail in the UK. Insurance and/or alternative shipping methods are available on request but at extra cost. For international orders, these will be shipped airmail via Royal Mail. All international orders must be paid for using Paypal. Please pay at time of purchase. Contact us if you experience a problem with payment. If there is no payment or contact made within 3 days of purchase, your order will be cancelled and the item re-listed. We want you to be happy with your purchase. If you have a problem with your fabric pack, please convo us and we will do our best to find a solution. Please check our policies for copyright information about our bag patterns. There can be no refunds on patterns because of the nature of the product.